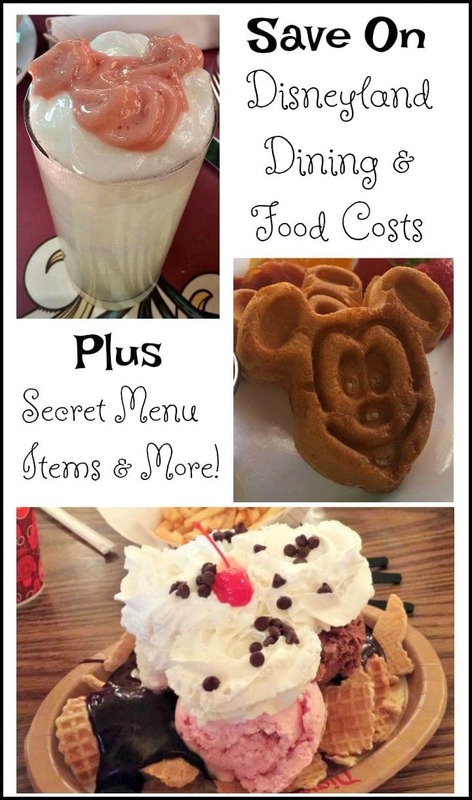 Disneyland Dining – How To Save the Most Eating at Disneyland! The way you will save the most is to cook your own meals if you are staying in a hotel with a kitchenette, or to pack your own snacks and water for the parks. You can get groceries delivered to many area hotels from the local VONs store (Safeway affiliate). Don’t want to worry about preparing each meal in your room? Just eat breakfast in your room. This can save you a ton alone, and its an easier meal to eat in your room (cereal, oatmeal, etc). Another way to save if you prefer to eat out, is to BYOB (Bring Your Own Beverages). I enjoy the break from cooking, but by providing our own beverages we save lots. Beverages can easily run you $3-$5 per beverage (non-alcoholic). The cheapest coffee we found on-site was $1.99 at Earl of Sandwich. Most other spots were around $3+. So make your coffee in your room too, and save there. If you enjoy a glass of wine at dinner, have your own bottle in your room, and grab a glass to enjoy around the pool or at the fire in the evening (or your favorite spot at your hotel). This is probably one of the best ways to save on food. For my family of 5, breakfast out cost us around $20-$70 per meal (depending on whether we did coffee and donuts, or a full fledged sit down breakfast). We have in the past booked hotel rooms that included a full hot breakfast buffet each morning, and we would eat a little later in the morning, and then just need a snack and dinner for the rest of the day. Want to do a character meal? Consider choosing breakfast or lunch over dinner (the savings here can really add up depending on how many ppl you have in your party). I prefer it too, as my kids are still energetic and love meeting the characters. We like to plan a day where we do a late character breakfast so its more like brunch, and then a light dinner to balance out the cost of character meal some. Get Away Today – offers up to $6 off per ticket, if you are want to do a character meal for dinner (note – you wont want to buy these for a breakfast character meal, as they are cheaper onsite). If you plan to stay at one of the Disneyland Hotels, and there are not great offers available (be sure to check out ways to save on Disneyland Hotels) you can consider booking through Costco. Currently their packages offer a free Character Meal voucher with them, so that is some savings! If you are booking a Disneyland vacation package, sometimes you have the option of getting a character meal added to the package. If you can do this at some savings (so you are not paying full price for the character meal in your package), then its a great way to save on food. Thats because they have a cash value, so you can use them to eat at other restaurants too. Check out this article here, to find out how to use character meal vouchers to help you eat for less. Safeway runs a get 4x the gas rewards on gift card purchases from time to time. They sell Disneyland gift cards in their gift card section. It cost my family over $100 to enjoy a character breakfast, so that is about $.40 off per gallon discount (saves me around $10 for a fill up, so I consider that $10 off my meal)! Albertsons runs promos from time to time where you will get a certain Dollar amount off your next grocery store purchase with gift card purchases. Target offers 5% off if you use your Target Red card to purchase Disney Gift Card. You can also ask for a to-go cup for your coffee or drinks at the end of your meal. We always do this and then have around $15 in beverages to take with us, which takes a bit of the sting of the price away. The anahiem convention center website has coupons like BOGO item free for McDonalds on Disneyland Drive, $5 off Rainforest Cafe and more! Groupons Anahiem Dining Deals (just put Disneyland in the search box and select dining deals if it does not bring them up for you at this link) – Currently they have the Pizza Press (which is also right across the street from Disneyland on Disneyland Drive) and Fire+Ice Grill (fun restaurant in the Garden Walk area) and more! Check what dining deals they have in Anahiem before heading out on your trip (could save you half off a meal). Entertainment Books for Anahiem (select Anahiem as your city) – there are lots of great coupons in here, including buy one get one free coupons, so you should make your purchase price back and then save lots too! MouseSavers has a few more ideas on where you can find coupons here too. Many tip sites tell you to save by eating outside the park. We found this to be true IF you are using one of the other tips listed here (like using coupons, or getting breakfast for free with your room), or if you eat someplace like a McDonalds. Otherwise, we have not found it to be true that we save much by eating outside of the park. 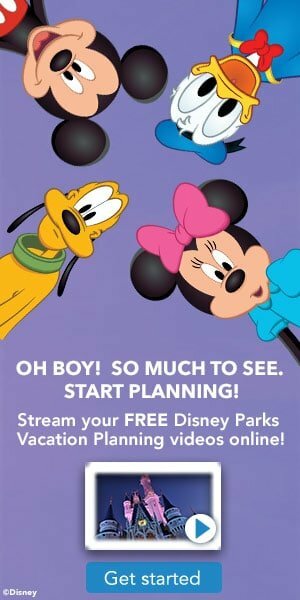 We have done well with some coupon offers in the past, and my husband and son love a special trip to In and Out Burgers (requires a short drive), but if we just hop into the local restaurant without special savings we have found it costs us as much as it does to eat on Disney property with some of these savings tips. Here are some ways we have used to save eating offsite though – IHop offers a Kids Eat FREE promotion (with a paid adult) 4:00 pm to close daily. They are also located over on Disneyland drive. Happy Hours – Some local restaurants have a family friendly Happy Hour, if you can eat during these times. A couple of ideas include: Tangerine Bar and Grill (in the Annabella Hotel). This is about a 2-3 block walk if you go out the front of the Grand California Hotel. They offer a Happy Hour each day of the week (we took our kids and ate out on the terrace), or you can check out their specials here too (like Taco Tuesday or $1 items, etc). McCormick and Schmicks allowed seating for families during their Happy Hour the last time we were there. I recommend calling ahead to confirm that is the case when you visit though, as other McCormicks require you to eat in the bar area. Earl of Sandwich was one of our favorite breakfasts on budget. Its at the end of Downtown Disney so less crowded then La Brea Bakery. We found their prices to be fairly decent for Disneyland. Breakfast sandwiches are $3.99, and although its not on the menu we got a side of bacon for $1.99 and and fruit cup for $2.49. We were able to feed everyone for around $5 pp here, which we thought was a great deal! We also found it to be a good spot to grab coffee ($1.99 ea). Ralph Brennons Jazz Kitchen has a walk up window that serves donuts. You can get a Small (4) $4.99, Large (6) $6.99, Family Size (10) $9.99 , so its a great option if you are a coffee and donuts kind of crew. Pick up your coffee for $1 less at Earl of Sandwich and a couple of $2.49 fruit cups there too, and you can have breakfast in your room for your family for around $20. Taquria Joes Express Window has a 9 in. Egg and Cheese burrito for $3.95. Flos V8 Cafe in Cars land has a Seasonal Fruit plate with yogurt and a muffin for $5.95 (and fun atmosphere if you love cars land)! Your best bet for breakfast in the California Adventure Park is the Pacific Warf. You can get oatmeal for $3.99. There is a new Starbucks in Downtown Disney, and one on Main Street in Disneyland too. We did not find their prices to be too much more then a stop at Starbucks generally costs us. One spot I like in Disneyland is the Hungry Bear Restaurant in Critter Country (over by Splash Mountain). Its a walk up window, so you can order kids meals if you want. Its a great way to save if your crew is looking for burgers and chicken nuggets ($6.49 for a kids meal). Plus all Disney locations now offer healthier alternatives for kids meals, if you prefer to go that route. I enjoy this spot, as its not overly priced for Disney, and its set along the river. You can eat outside with the river as your view, and its generally less crowded then other spots. If you will eat hot dogs, Plutos Dog House has a Premium Hot Dog basket for $6.29, or Kids meals for $6.49, you can also grab a corn dog basket on main street for around the same price, or at Corn Dog Castle or Hot Dog Hut in California Adventure. Another way we save here is to eat a later breakfast, and then get a snack at this time, and then dinner some days! The Express Windows in Downtown Disneyland are on of our favorite ways to get a decently priced meal. My favorite is the Ralph Brennon Jazz Kitchens Express Window. They make some good old southern dishes like Jambalaya, Red Beans and Rice and more, and they start at around $6.99 at their Express Window. My husband I would each get a different dish and then share. Tortilla Joes Express window also has some decent prices on Tacos, Quesadillas and more at their express window. You can get pizza by the slice for $4.95 if you are not starving at Napolli. Depending on how many ppl you are buying for, it could be a better option to buy a pizza though. The Earl of Sandwich is again a great choice for lunch or dinner too. We found it to be comparable to eating at a sandwich shop at home, and their food was fresh (and lots of outdoor seating). All Ears Menus Guide (I love this one, I can check the menus ahead of time to see spots that my family would enjoy at prices that we were comfortable with). 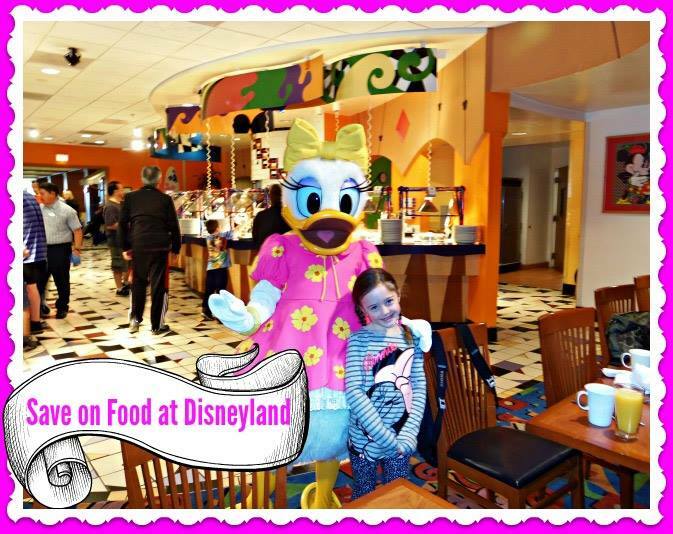 Disney Food Blogs Disneyland Restaurant Guide – this is a nice place to check out reviews and pictures to see if they are restaurants your family will enjoy! Be sure to check out our Disneyland Deals page for more great savings ideas for a Disneyland trip! How about you, what are your best tips on how to save while eating at Disneyland Parks and Resort areas? We love Disneyland! Our favorite place to eat is White Water Snacks located by the Disney California Adventure entrance by the California Grand. The prices are reasonable and pretty good sized portions. We love the California breakfast burrito $6.99, the Mickey waffles $5.99, and American breakfast for $7. They serve fruit, beverages and other quick snacks. In Disneyland we like Red Rocket Pizza Port. Their Chicken Caesar salad and Chicken Fusilli are tasty and portions are big so we can share one order. We will buy bread sticks and marinara sauce to snack on while watching a parade or to take back to the room. if we are in Downtown Disney we buy .99 dips at Wetzel’s Pretzels to use later with our bread sticks for a variety of dips. That is a great tip Kim (I almost included it and will have to go back and add it now that you mention it). I just had not stopped in there this last trip so was not sure if prices were still the same. Thanks again for sharing this gem with folks!! Wow, it sounds like you have done very well on your food costs! I always get excited before the rest of the family too (because we do all the planning so we know how much fun they will have – ha!!). Hope you guys have a wonderful trip and if you have not already I would recommend you make reservations for your Goofy meal (that spot can fill up very quickly, and so its best to have reservations before you leave if possible). We have a post coming next week to provide more tips on how to save on Momentos etc (before you leave and at that parks too), so be sure to check back next week. Hope your family has a wonderful tip, and we would love to hear your best savings tips when you return! !